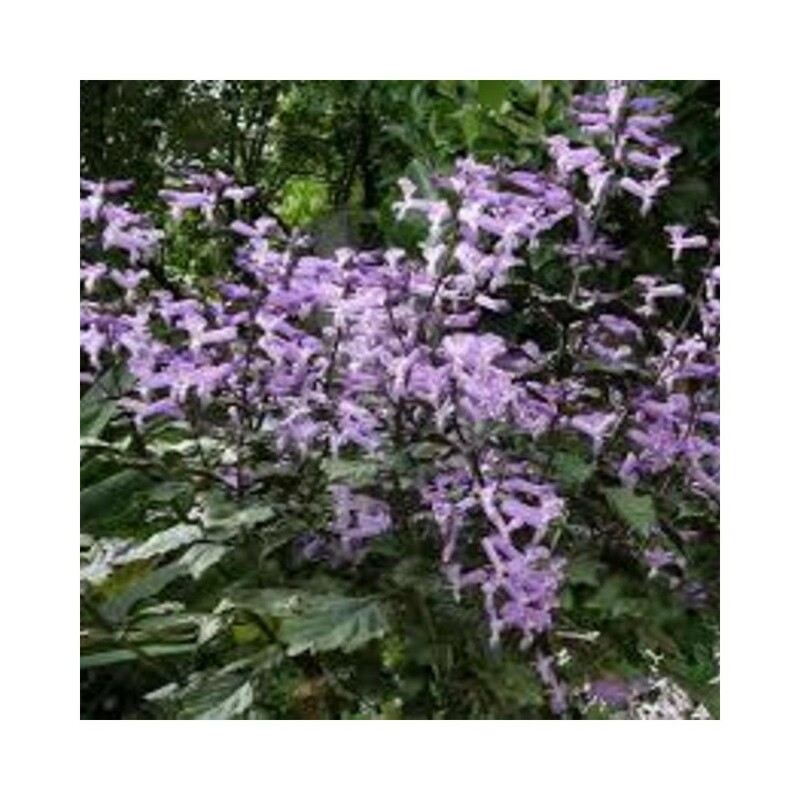 Grown for foliage and flowers, Plectranthus is a genus of about 350 species of annuals, evergreen perennials, semi-succulents, and shrubs from Africa, Madagascar, Asia, Australasia, and Pacific islands. Grown for foliage and flowers, Plectranthus is a genus of about 350 species of annuals, evergreen perennials, semi-succulents, and shrubs from Africa, Madagascar, Asia, Australasia, and Pacific islands. They are useful in a cool greenhouse or conservatory or outdoors in hanging baskets, containers, or sunny borders. The foliage is often ornamental, with decorative margins and a fuzzy appearance. The flowers are small but are often borne in good-size racemes of tubular, 2-lipped flowers in shades of purple, pink, white, or blue. Plectranthus are part of the mint family and closely related to Solenostemon (coleus).